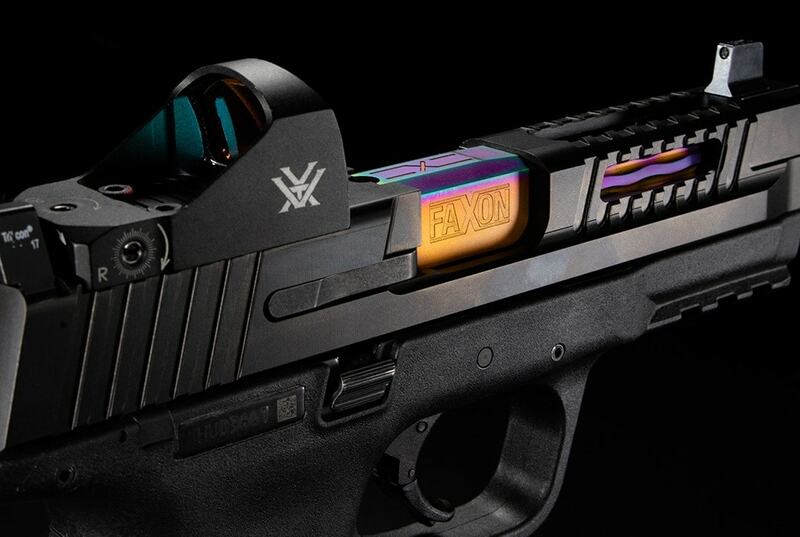 Faxon Firearms unleashes a new M&P pistol slide series onto Smith & Wesson fans, launching two new designs in the lineup — the Patriot and Hellfire slide profiles. Machined in-house from 17-4 stainless steel, the slides readily accept Glock sights and feature a Diamond-Like Carbon, or DLC, finish. 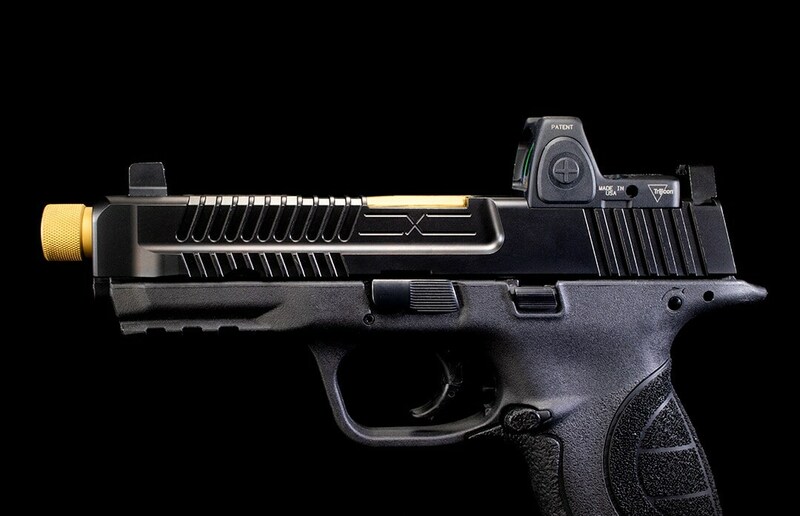 The slides come equipped with an enhanced front, rear and top serrations, placed to help owners during slide manipulations. 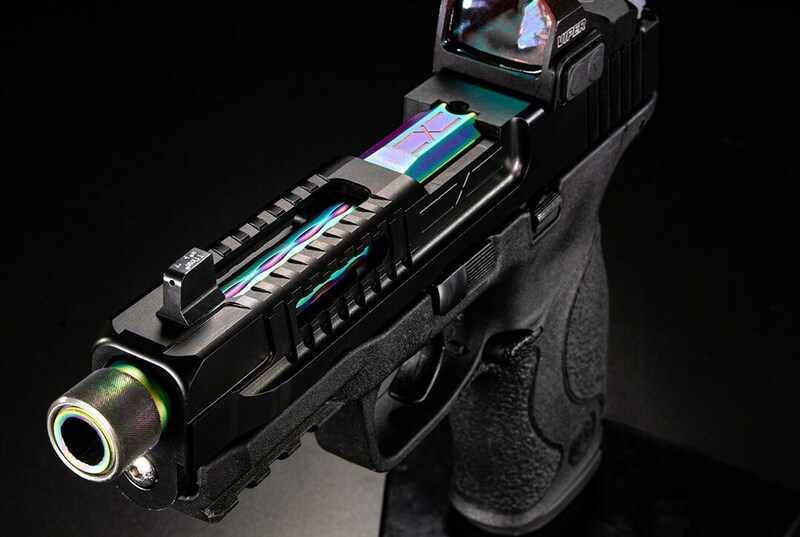 The slides are optics-ready, with each profile available either a Trijicon RMR cut or a multi-optics mounting system which tackles the Vortex Venom, Vortex Viper or Burris FastFire. MSRP on the Patriot is $499 while the Hellfire retails for $525. Both slides will be on display at the NRA’s Annual Meeting in Dallas May 4-6.